The grief of the loss of life is unimaginable – when you look at the age of the children and their protectors that died doing what they were trained to do, it is simply unconscionable that anyone could do such a heinous act. The fact is we need to get people the help they need before they get to the point of wanting to seek out guns for killing – or drugs for getting high. Though that is an extreme example, many parents are seeking help for their struggling teen. They are at their wit’s end. They feel like they are hostage in their own home. After exhausting all their local resources they realize that residential treatment is their last resort – but how can they send their child away? The real question is, how can you not? How can you not get your teen the help they need? In many cases your teen does need to be removed from their environment to be able to start recovery. Being around their negative peer group and sometimes ever around their family (and this is not a personal reflection on you) but the state of mind your child is in, can bring contention that they are not able to move forward. So what can you do? You get online and the confusion is overwhelming with websites promising all sorts of things – marketing people scaring you into the urgency of placing asap or else….. Sticker shock of the price of getting help! Don’t get scammed – it did happen to me – I created my organization so it wouldn’t happen to other parents. There is help for everyone. If you don’t have insurance for mental help, and even with insurance, there are programs that can help. You will have to dig harder to find them. Obviously if you are able to go into a program you can finance there are more options, but in a time in our economy when things are not financially great, not everyone falls into this category. This doesn’t mean you can’t find help. I encourage you to visit my website – www.helpyourteens.com for more information on residential therapy. Never give up – be proactive. Now, more than ever, is a reality that parents need to get their troubled teens the help they need. Frequently we hear how a teen used to be such a nice kid until they started hanging out with so-and-so. Yes, the wrong crowd. Everyone knows about the wrong crowd. We’re surrounded by peer pressure every day in a variety of different ways, from the unknown forces of the media to our friends and family. Although a parent can’t erase peer pressure from her child’s life, she can give her the tools she needs to stay strong in the face of it and make decisions based on what’s best for her. Here are a few tools to help you teach your child about peer pressure. Talk to your child about the influences of the media. Every time you turn on the TV, pick up a magazine, read a billboard, go on Facebook or Twitter, or surf the web there are people trying to get you to take the action they want you to take or think the way they want you to think. Many people don’t recognize these forces as peer pressure because they’ve become such an engrained part of our lives; however, the media greatly influences our ideas and choices. Talking with children about these influences can help kids see things with a critical mind and allow them to make smarter, more objective decisions. Be a good role model. If your child sees you rush out to buy the latest fashion, stand in line for hours to land the latest gadget, or try the latest fad diet because everyone else on the block is singing its praises, she’s much more likely to fall prey to the same peer influences. Let your child see you making decisions based on what’s best for you and the situation, even when it’s not necessarily the popular choice. Talk to your child about the people and things that influence him. Conversation is one of the most powerful tools you have in helping your child withstand peer pressure. Talk with your child about what choices his friends are making, the choices he’s facing, the factors that influence him, and how he makes decisions about what to do and what not to do. Giving him a safe place to explore his thoughts and feelings will help him make well thought out decisions. It will also allow him to make up his mind about what to do in a tough situation before he’s actually in the tough situation. Working through his choices ahead of time gives him the confidence to act in accordance with his beliefs and values. Involve your child in a community that supports your values. Although you can’t insulate your child from peer pressure, you can stack the deck in your favor by surrounding your child with people that can help her make good choices. Your local church, Boys and Girls Club, Boy and Girl Scouts, and community programs are all great places to find like-minded families. Your child will still be pressured to do things that are not in her best interest, but it’s a lot easier to say no when others are saying no alongside you. Help your child develop a strong sense of self. Children with high self-esteem and a positive self-image have a much easier time resisting peer pressure. Those things don’t develop overnight, so plant the seeds of self-esteem and self-image when your child is young and cultivate them as your child grows. Help your child avoid troublesome situations. 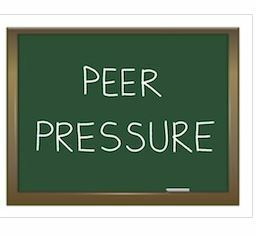 Sometimes peer pressure can be avoided simply by avoiding a certain person or taking control of a situation. If your child’s classmate is known for rallying friends to pick on younger kids, stop meeting him and his mom at the local park. Instead, foster a friendship between your child and a kinder classmate. If your child’s new neighbor friend spends hours watching R rated movies while he’s home alone after-school, insist they play at your house where you can monitor their TV choices. If you’re worried about your daughter being out late with her older boyfriend, impose an early curfew but allow the boyfriend to stay and visit. Be supportive. Making good choices in the face of peer pressure is tough. It can be a very emotional struggle for many kids. Be the person your child can confide in, can count on, and can ask for advice. Don’t expect perfection. Your child will make mistakes. She will hang out with the wrong people. She will make bad choices. How you react when those things happen will have a big impact on how she handles similar situations in the future. Your goal is to help her learn from her mistakes, help her learn how to make a better choice next time, and help her correct her course when she realizes that she’s going in the wrong direction. A parent can’t protect her child from peer pressure, but she can help her make decisions based on what’s best for her and not simply on what everyone else is doing. Parenting teens is challenging today. Communicating with teens can be even more difficult. During your children’s teenage years you’ll likely encounter a period of time when it seems like you have nothing in common with each other and carrying on conversations is akin to climbing Mt. Everest. This is heavily influenced by the fact that teenagers and the adults who care for them are very different creatures and are at very different points in their lives. Understanding those differences will help open the lines of communication between you and the teen in your life. Create a topic jar. A topic jar is a jar that you fill with different pieces of paper containing conversation topics. Each night at dinner a different person gets to choose a slip of paper from the jar and read it aloud. The reader gets to start the conversation. For example, the slip of paper could say, “Tell about something that surprised you today”. Talk about topics she likes. Often teens feel like they are misunderstood by their parents. Instead of trying to get her involved in whatever you want to talk about, try talking about something that you know she likes. If she is an avid soccer player then ask her if she heard about the latest soccer match between Spain and Italy. She will probably be stunned that you even know that Spain and Italy recently had a soccer match and might actually want to talk about it. Once the door is open she may continue to talk about other things that are on her mind. Schedule some one on one time with her. Take her out to her favorite restaurant with just the two of you. If that is too expensive, just go for dessert and linger over coffee. Do something that she enjoys, like going to a local soccer match. Sharing these moments with her will give her the opportunity to talk to you while you are both relaxed and alone. Listen more than you speak. Every minute of your time together with her doesn’t have to be filled with idle chit chat. If you are trying to get someone to talk, leaving some silence will give them the opportunity to fill that silence with conversation. Be patient with your teen. If she is going through a rough time with her boyfriend or her other friends at school it may be difficult for her to talk about. Give her opportunities to broach the subject with you, but don’t try to force her to talk to you. That will only result in her becoming more stubborn and closed off. Put yourself in her shoes. Teenagers think that their parents and caregivers don’t understand them. Try to resist saying things like, “I understand what you are going through because I was a teenager once too you know”. Every generation has their own obstacles to overcome, and you can’t know what she is going through until she tells you. Really try to imagine how you would feel if you were in her shoes going through what she is going through. Don’t try to fix her. Parents and caregivers often try to fix a situation before they even understand it. Everyone is busy, but make time to hear her out. Don’t jump in and offer advice until it’s asked for. The only thing you should be doing while she is talking is nodding and saying the occasional, “hmm” or “I see” to indicate you are actively listening. This part is very difficult, but she needs to feel heard. Imagine how it would feel if you were sharing one of your problems and the person kept interrupting you to offer advice. Would you enjoy that? Try to be her soft place to fall, not a road block. Teenagers are faced with a lot of peer pressure. Amazingly enough, teens will come to the right decision most of the time if given the chance. Comfort her if she’s had a fight with a friend or if she breaks up with her boyfriend, but don’t condemn the boyfriend or friend. Anything negative that you say now will come back to haunt you when she gets back together with her boyfriend or the next time that her friend comes over to spend the night. Only offer your opinion when she asks for it. 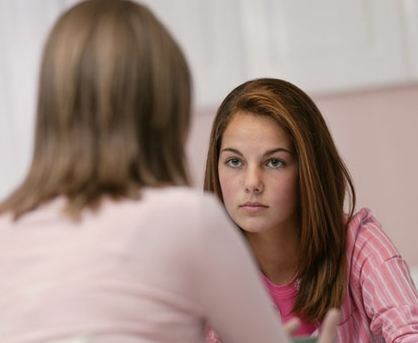 If you are lucky enough to get your teen talking, don’t interrupt with your opinions. Telling her what you would do isn’t going to help because she will remind you that you and she are nothing alike. Teens are trying to break away and prove their individuality. If she asks for your advice, start by asking her what she has considered so far. This will give you an idea of where her head is and you can act accordingly. Avoid lectures at all costs. Or are they simply not telling you the whole truth? Is there a difference? One of the greatest challenges that many parents face is helping their children to learn the value and importance of honesty. Children learn to fudge the truth at a shockingly early age, and the habit can be difficult to break if not acknowledged immediately. Here are ten ways to make sure that your little one doesn’t make dishonesty a practice. Practice What You Preach – Teaching your children not to lie is likely to be a challenge if they overhear you saying things that they know to be untrue to others. It’s important to practice what you preach, especially when it comes to impressing upon kids the importance of being honest. They can pick up habits at an alarmingly fast rate, so make sure they’re good ones. Create an Atmosphere of Acceptance – Kids often lie out of fear that the truth will cause them to be ostracized. Creating a “no-judgment” zone in your house can help kids to feel safe enough to tell you the truth, even when the truth is something that you don’t want to hear. Talk About Outright Lies Versus Those of Omission – Small children may not understand the difference between actively telling a lie and simply opting not to say all that they know. 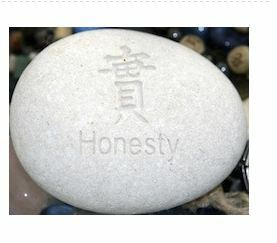 Explain that both options are dishonest, and help them understand why it’s important to be honest in the first place. Avoid Situations That Can Lead to a Lie – Instead of setting your child up to be dishonest by asking if they did something, ask them why they did it. Saying “I know that you spilled your milk, now let’s clean it up,” is much more effective than asking, “Did you spill your milk?” This accusatory tone makes kids defensive, and they may lie reflexively just to avoid getting into trouble. Be Careful With “White” Lies – Instead of telling your child that their disgusting cough syrup doesn’t taste that bad, explain that it’s unpleasant but will make them feel better. Your child will know the second that they take the first dose of that medicine that it tastes horrible, and may not understand why you would lie about it when they aren’t allowed to lie about things themselves. No Name-Calling – Never call your child a “liar” or other derogatory names. This only makes them feel like you don’t trust them to ever tell the truth, and that there’s no interest in doing so if you aren’t going to believe them anyway. Leave the Past Where it Belongs – When gently confronting your child about a situation in which they’ve been untruthful, avoid the urge to bring up past incidences of dishonesty. They’ll only feel as if their past mistakes can never be forgotten, and that you don’t believe that they can ever tell the truth. Don’t Make Threats – Don’t threaten your child with vague statements like, “if I found out that you’ve been lying, you’ll be sorry!” In this situation, they’ll only feel as if they must protect their lie in order to avoid a mysterious punishment, rather than feel secure enough to admit to being dishonest and making an apology. Be Patient – Kids who have trouble with telling the truth won’t change their stripes overnight, and it will require patience and effort on your part as well as theirs. Understand that there will almost certainly be missteps along the way, but your child is still learning the intricacies of telling the truth. Kids can be further confused when they’re reprimanded for being “brutally honest,” so it’s a good idea to explain that telling the truth is a delicate balance of not making hurtful observations about others, even if they’re true, while also not saying things that are dishonest. Talking to them about only saying positive things about another person’s appearance or habits can help to prevent embarrassing statements made by kids that are trying to learn the difference. Alcohol can kill. It is that simple. It is easy for educators and parents to become overdramatic when warning young students about the dangers of alcohol. Flooded with extensive media coverage of seemingly every college drinking death, their genuine concern can become panic. The truth is, most college students who drink do not binge, and suicide may even be a higher cause of death among this demographic. Nevertheless, one alcohol-related student death is too many, especially since it’s so easily prevented. With that in mind, here are 10 sobering reminders why you should drink responsibly. 2) College drinking deaths rose 26.7% from 1999 to 2005: Deaths of students from alcohol poisoning or alcohol-related accidents are certainly nothing new. College administrations have been making strides in educating students about the dangers of binge drinking for years, but unfortunately that doesn’t seem to be having a positive effect on the number of student drinking deaths. On the contrary, the number is actually rising. The 1,825 deaths calculated in 2005 were an increase of almost 27% from the 1,440 deaths calculated in 1998. 3) Freshmen account for more than one-third of college student deaths: When it comes to alcohol-related deaths, the first year of college is easily the most dangerous. A USA Today study done in 2006 found that although freshman account for only about 24% of the total population of college students, they make up much more than their share of the number of deaths. For example, they accounted for 40% of undergraduate suicides, 47% of undergrad deaths on campus, and half of deaths from falls out of windows and off rooftops. Of these deaths, one out of five was found to have been drinking. 4) Fifty-three percent of college students have experienced depression, and less than one-third seek help: With all the pressure, the separation from family and familiar surroundings, and the lack of sleep college students are faced with, depression is a very common ailment on campus. More than half of college students will experience some form of it, and the majority of them will not seek help. The answer for many is to drown their sorrows in alcohol. A 1998 study found as many as 1.5% of students tried to commit suicide because of drinking and/or drug use. 5) At least one student has died from drinking in college hazing rituals every year for more than four decades: Hazing goes back to at least the 1800s and possibly even before. It’s always been used as a way of putting a person through a trial to earn membership in a select group. But to put it bluntly, if the person is killed, what’s the point? Since 1975, thousands of lives have been needlessly thrown away in hazing rituals, devastating their families and usually spelling the end for the organizations they were trying to join. 7) Chico State University student Matthew Carrington died from binging on water : Because of the amount of negative attention hazing has received in recent years, many schools have banned alcohol from Greek functions. To get around this, many college groups have taken to forcing pledges to drink huge amounts of water or milk, either of which can be lethal in large quantities. In 2009, Matthew Carrington died after water absorbed into his blood after his fraternity mates forced him to drink from a five-gallon jug of water that they kept refilling. 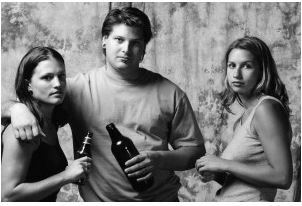 8) Eighty-three of the college student deaths from 1999 to 2005 were of underage students: There is a reason the U.S. has a legal drinking age. Hopefully, at least, people over 20 are better equipped to handle peer pressure and know when to call it quits on a night of drinking. They also have two or three years of college under their belt and don’t need to hit the first party they see and get as drunk as humanly possible. But 83 underclassmen died in six years as a result of alcohol poisoning because they weren’t mature enough to drink responsibly. 9) At a 0.15 BAC, chances of a car crash due to drunk driving are 200 times higher: Although the number of deaths due to college students drinking and driving may have been overestimated in the past, there’s no shortage of students still getting behind the wheel while intoxicated. One in five students admitted to driving drunk in a four-year study that concluded in 2010. No states allow driving at a blood-alcohol level over 0.08%. Even at this level, drivers are still about 10 times more likely to be in a (potentially fatal) car crash. April is Alcohol Prevention Awareness Month. You can never talk to your teens or tweens enough about the risks of drinking. PACT Prevention Coalition of St. Johns County offers parent resources and help for parents with teens struggling with substance abuse or if you suspect your child is using drugs or drinking. Recently we heard the news of a 14-year old dying after inhaling helium at a party. Helium that is used inflate balloons – as innocent as it may seem, it also can kill when used inappropriately. This is no different than many other household products. Inhalant abuse refers to the deliberate inhalation or sniffing of common products found in homes and communities with the purpose of “getting high.” Inhalants are easily accessible, legal, everyday products. When used as intended, these products have a useful purpose in our lives and enhance the quality of life, but when intentionally misused, they can be deadly. Inhalant Abuse is a lesser recognized form of substance abuse, but it is no less dangerous. 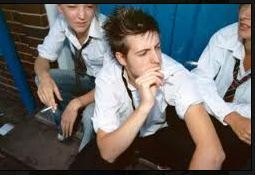 Inhalants are addictive and are considered to be “gateway” drugs because children often progress from inhalants to illegal drug and alcohol abuse. The National Institute on Drug Abuse reports that one in five American teens have used Inhalants to get high. Here is a list of inhalants that are in many homes – click here. Huffing, bagging, sniffing and dusting – what is it? Inhalation is referred to as huffing, sniffing, dusting or bagging and generally occurs through the nose or mouth. Huffing is when a chemically soaked rag is held to the face or stuffed in the mouth and the substance is inhaled. Sniffing can be done directly from containers, plastic bags, clothing or rags saturated with a substance or from the product directly. With Bagging, substances are sprayed or deposited into a plastic or paper bag and the vapors are inhaled. This method can result in suffocation because a bag is placed over the individual’s head, cutting off the supply of oxygen. Other methods used include placing inhalants on sleeves, collars, or other items of clothing that are sniffed over a period of time. Fumes are discharged into soda cans and inhaled from the can or balloons are filled with nitrous oxide and the vapors are inhaled. Heating volatile substances and inhaling the vapors emitted is another form of inhalation. All of these methods are potentially harmful or deadly. Experts estimate that there are several hundred deaths each year from Inhalant Abuse, although under-reporting is still a problem. How prevalent is Inhalant abuse in the United States? 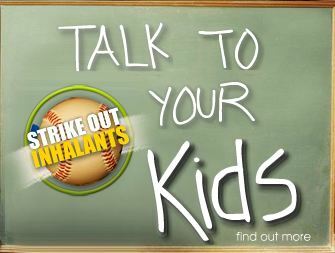 Over 2.1 million kids, ages 12 – 17, have used an Inhalant to get high. 1 out of 5 school-aged children in America has intentionally abused a common household product to get high by the time they reach the eighth grade. Because Inhalants are easily accessible they tend to be a drug of first use. In fact, they are as popular as marijuana among young people. Inhalant Abuse, also called “sniffing” and “huffing,” usually begins at age 10 or 11. Children as young as six, however, begin experimenting with Inhalants. No one knows for certain how many lives Inhalant Abuse claims each year because Inhalant Abuse deaths often are attributed to other causes.